Wildlife is all around us, and while some of it is beautiful, some of it can be a hassle at best, and harmful at worst. Pests are no strangers to Burlington, and while you may not have rodents or insects or other pests inside your home, there’s always a chance that they’ll find a way in. 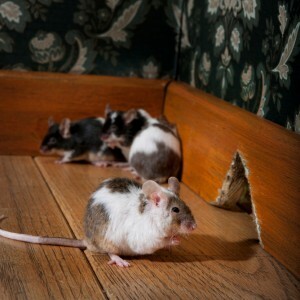 That’s why the city remains vigilant in combating pest infestations if and when they occur. Here are some examples of the pests the Burlington area has had to deal with over the last few years. One of the most well-known pests in Burlington, and around Ontario, is the emerald ash borer, a green beetle native to Asia and Eastern Russia. The borer has been destroying ash trees across the province, diminishing property value, aesthetics, and the environment. The pest was identified in Burlington in 2010 and ash trees, which make up roughly 10 per cent of the city’s urban forest, have been under threat ever since. In 2012, the city of Burlington pledged over $9 million over the next decade to combat the invasive species. Prior to the dedicated funding, 500 trees were treated with insecticide in 2010, and another 750 the following year. In 2012, 3000 ash trees were injected with the insecticide, which kills emerald ash borer larvae. Imagine you’re a second-grader. You arrive at school and head to your locker to pick up your books for the day’s first class. Then when you open the locker, you find tiny black pellets, which turn out to be mouse droppings, scattered on your belongings. That’s no way for anyone, let alone a schoolchild, to start the day. But that’s exactly what happened to a second grade student at Central Public School in 2012. That encounter led to 400 other lockers being checked, and prompted the Halton Region Health Department to send an inspector to visit the school. In neighbouring Oakville, authorities began treating oak trees in 2013 to protect them from infestations of the gypsy moth. The moth has a voracious appetite for oak tree leaves. As caterpillars, they can eat an average of one square metre of foliage during the larval stage, and gypsy moth infestations often kill trees. In August 2013, health authorities found a bat infected with rabies in the Plains Road East and Brant Street area. Following the find, a warning went out to the public to avoid contact with bats and other wild animals. The neighbourhood in Burlington where the bat was found was on high alert as residents were told to contact the Halton Health Department and consult a doctor if they came in contact with a bat or other wildlife. That bat encounter wasn’t the first in the city, as a rabid bat was also found in Burlington’s Central Park in August 2008. The rabies virus is spread through the saliva of an infected animal, usually via a bite. The viral disease can cause severe damage to the spinal cord and even death. This entry was posted in Blog on 2014/08/11 by Any Pest.